Read by Brooke herself, with added comments and songs, this is a remarkable story AND teaching, with exercises at the end of each chapter to help make the learning real for you in your life. This is truly a Study Course even more than a book, with wonderful teaching stories from Brooke’s life to guide you. Even if you’ve read it before, it is surprisingly current and powerful, and will serve you well. finding and filling your spiritual “holes"
accepting your mantle of service, and much more. These powerful personal tools integrate ancient wisdom with contemporary experience, as Buffalo Woman calls each spiritual warrior to her own true place in the dance of sustaining life on this sweet Earth. “I have re-read Buffalo Woman Comes Singing several times over the years, and each time it gets deeper and more powerful for me. As I grow and awaken, it reveals more and more of its rich teachings. Highly recommended for first, or repeated, 'readers'." "This vibrant book of wonders speaks true and dreams deep. 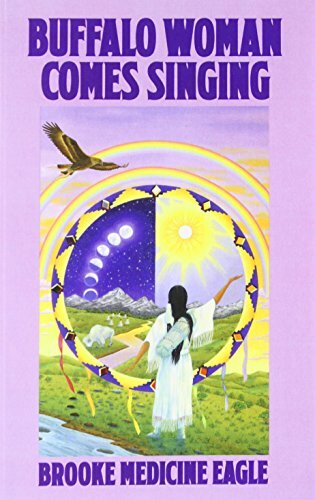 Writing with blazing honesty she tells of her hard-won knowledge of many of the world's spiritual and healing traditions, while hold the Sacred Hoop of Native American wisdom. This magnificent teacher becomes for us a new embodiment of White Buffalo Woman." – Jean Houston, author of "The Search For The Beloved"
This teaching, ANCEPAH, is about the vital aspect of our lives which is working with our ancestors. 2. Incredible and beneficial personal resources are available, because our ancestors' commitment is to helping us do and be the best we can as individuals still able to make a difference on Earth. The modern science of Epigenetics, as well as our native traditions, speak of the power of being in contact with those who have gone beyond. 3. They have age-old wisdom about living and surviving on this sweet Earth - some of which it seems we have forgotten to practice. Our finest elders, as well as scientists and therapists, are emphasizing the importance of this work: for ourselves, our families, and our world. Brooke makes these transformative processes available to you in simple, sensible forms! This is an remarkably complete teaching to ready you for a formal Vision Quest. Proper preparation is key to moving through it in a healthy and life-supporting way, as you clear and open yourself to the great voices within and around you. 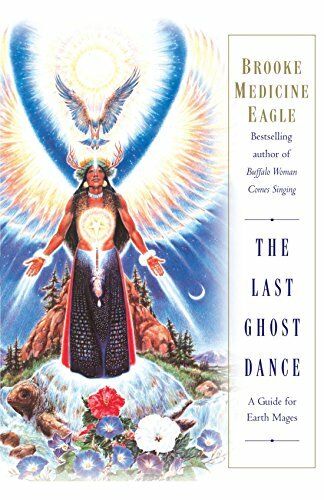 Brooke offers clear instructions, as well as teaching stories from her own formal quests in the Castle Rocks of her home Crow Reservation and on Bear Butte, the Lakota / Cheyenne questing ground near the Black Hills in South Dakota. She teaches about fasting and clearing ahead of time; choosing your place, setting up your circle, formal practices for your sitting time, and suggestions for processing and learning from your experience when the primary questing time is complete. You will learn much from this teaching, even if you are not presently planning to do a formal quest.
" You will enjoy and learn from this information, recorded by my friend Sylvia Wollwert in Germany. It’s a simple, yet profound, teaching about how to use the Medicine Wheel to help yourself move forward with more ease and grace in your life. Many Blessings, Brooke "
Total length 35 minutes *German version available. Contact s.wollwert@visionssuchen.de . Awakening in the Golden Age – a teaching about this new time, with information and techniques for awakening and uplifting our consciousness within it. Empowering the Spiritual Warrior - a wonderful collection of processes and techniques for your empowerment in walking a spiritual path. On Brooke’s recent European tour, people were still talking about how they use these techniques they learned years ago! Healing Through Ritual Action - a remarkable training in how to use your physical body and simple actions to clear old challenges and move forward into new ways of being and doing. It’s excellent for both healing professionals and lay people. Drumming the Heartbeat - a simple and useful teaching about how to use your drum well. Native traditions for awakening and bringing your drum to life as your play it are shared, as well as long passages you can drum with the improve your skills. Although this teaching was given some time ago, it contains powerful and useful keys for living into the amazing time we are co-creating on Earth. These are wonderful techniques and tools for your spiritual and personal growth, gleaned from Brooke’s teaching over the years. Our bodies are powerful tools for creating transformation. In this remarkably useful teaching for both professional therapists and lay persons, Brooke explains how to use physical actions to clear and re-program the brain and body. We know that just sitting, talking and emoting is not the key to deeper transformation, and getting physical (even going outside) is a wonderful addition to any therapeutic or growth regimen. Brooke made this for beginning drummers who requested help in learning to drum. She offers helpful suggestions and gives you 3 rhythms to drum along with……. Choose the entire series for insight and guidance in every season of your woman's journey. These teachings are a part of the moontime (menstrual) series Brooke has created to awaken women to the ancient mysteries alive within their bodies. This teaching focuses on the lessons and the rituals involved in the passage from girlhood to womanhood—a young woman's first moontime. In this time, there is a great change required of us two-leggeds in order to live well upon our sweet Mother Earth. Part of this transformation will be a renewal of ritual and ceremony which honors the cycles of our lives and that of Earth and Sky. This teaching offers lessons and rituals for a most important and sacred passage in women's lives: menarche. This is a time when a woman becomes like her Mother Earth—able to nurture and renew life. In many tribal ways, the white-hairs, the wisdom women, those initiated into the Grandmother Lodge, were the most powerful leaders of the people.We must renew this way of being for moon-pause (menopause) women, so that the great wisdom, life experience, and resources they have built over their lives are not denigrated and wasted as they grow older. Through this teaching, I send special love and honoring to all moon-pause women, and challenge you, each in your own unique way, to commit to the nurturing and renewal of all life, which is the charge of the Grandmother Lodge. *With gratitude to the artist, Frank Howell, for the cover image. It is important to use the songs/vibrations we sing in a correct and powerful way. This collection of songs from my albums includes ones I often use in ceremony. My intention with my music, and the FlowerSong work I do on many levels, is to add harmony to the atmosphere of Earth, Lady Gaia. The meaning and power of healing songs goes far beyond the words or melody; they are vibrationally tuned to trigger states and processes in the recipient that lead toward wholeness and integrity, within and without. This classic is from a well-known Earth Wisdom teacher! These powerful and beautiful songs came from native tradition and from those on vision quest listening deeply to the life and spirit around them. They sing of our connection with all living things, and are delivered with vibrance and harmony. 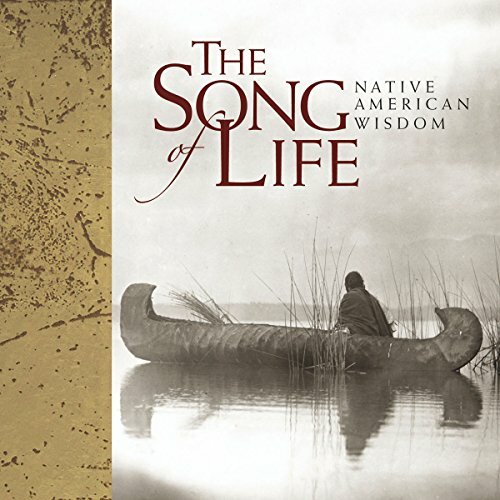 This international collection of songs comes from the native heart and the spirit of life! These enticing songs and chants are pure and powerful expressions from an Earthkeeper, one devoted to caring for the Earth, who sings with joy and clarity. "It's not about singing perfectly; it's about singing joyfully!" With Brooke, you will practice singing & learn about sound & song in relationship to our ability to bring forth what we need at this time. These echoing sounds, sung in a shaman’s cave in the high country of Montana, are rich and evocative. From the ancient stone altar, these songs were sent into Mother Earth for healing All Our Relations. You will love their simplicity, beauty, and power! Brooke is a legendary Earth Wisdom teacher who began this collection as she sang to deer, land, waterfalls, and the Circle of Life around her. These songs are an honoring of the altar of Mother Earth, and a prayer for peace among All Our Relations. By Linda Heron Wind, Ph.D. The time has come for the voice of women’s experience to be heard. It is the voice that values relationships and connection to all things in the circle of life. This voice comes from the deepest parts of our beings, those parts that know Earth as Mother, Moon as Grandmother, and the plants and animals as our brothers and sisters. It speaks to all women as our sisters and to all men as our brothers, and it calls us to re-member our wholeness and our holiness. The voice of women’s experience speaks through this book – voices from the past, from the present, and from the future – calling women everywhere to honor their heritage and their birthright. While this book focuses on honoring the menstrual cycle, at the same time it teaches us to see ourselves as women of value and power who have much wisdom to offer a world that desperately needs our vision. It calls us to claim our power, to become warriors who stand firm in our centers and in our truth. As we reclaim our menstrual rites (and rights), we discover who we really are as women. To the women who read these words and feel them in their bellies, welcome to the dance! Millions of women from the sixties’ and seventies’ generations are embarking on a journey through menopause. These women worked hard to gain power and value as women in our society. Will they also learn to keep their power as moonpause women? Will they transform how their society thinks about older women and restore the wise women to their place of power within our culture? Will they insist on nurturing for all the children? Will they bring love and harmony to all Earth’s children? Will they bring love and harmony to all Earth’s children? Will they say what they know to be true without fear? Menopause is an initiation into wisdom. Grandmothers of the Wind calls you to make the journey, accept the challenge, claim your wisdom, and give it back as a gift to your community and world.